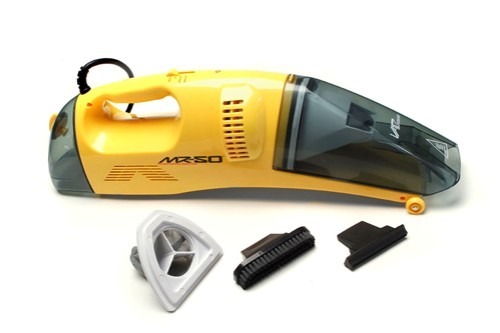 Wet-Dry Vacuum and Steam Cleaner The Vapamore MR-50 Steam Vac is the only portable wet / dry vacuum and steam cleaner combined into one easy to use tool. It’s great for removing wet or set in pet stains and odor. It cleans spills instantly before stains set in. The steam function can be used to remove set in stains and spots from carpeting and upholstery. The steaming function provides two operating modes, instant high temperature dry vapor steam for general cleaning, or the wet steam mode for set stains and spills. 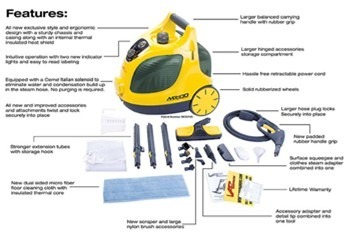 It can be used as a conventional portable wet / dry vacuum, without having to use a big and bulky shop vac.